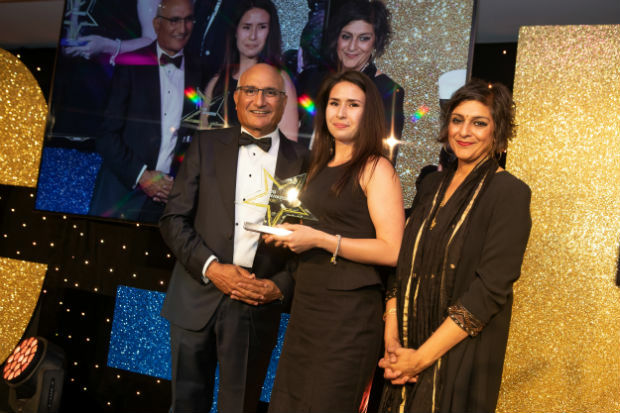 "The whole pre-reg experience is getting as much knowledge under your belt as you can"
Marisa Maciborka won her C+D Award – for Pre-registration Graduate of the Year 2018 – for her work at Bedminster Pharmacy in Bristol. But her path to UK community pharmacy started 3,500 miles away – in the “really tiny town” of Ayr, in Ontario, Canada. Her lifelong passion for pharmacy began while growing up next door to Ayr’s resident pharmacist, who “had a really big impact in the community”, she explains. “He came to my school when I was in kindergarten, for a careers day. He had his tablet counter, and was counting M&Ms as if they were pills. “He ended up giving the M&Ms to me, because he knew I was the neighbour’s kid,” she says, laughing at the memory. This bribery-by-confectionary strategy clearly worked. By the age of 13, Ms Maciborka was taking part in placements at the pharmacy, and by her late teens she had upgraded to regular stints working there. Her neighbour pushed her to “go the whole way” and study for a pharmacy degree, rather than train as a technician, as she had originally planned. Put off by the six years it takes to complete a pharmacy degree in Canada – and the limited chances of getting into one of only two pharmacy schools in the province – she looked to the UK, and settled on the University of Aberdeen. With the “support of her family”, she describes this move as “the best decision I ever made”. When it came to picking a pre-reg placement, her MPharm student flatmate’s repeated praise for the city of Bristol, along with her undimmed interest in independent pharmacy, prompted her to apply to a “select few” pharmacies across the city. She ultimately opted for Bedminster, enticed by its reputation for being “all about the services”, its 100% pre-reg pass rate, and “all the awards they’ve won” – including a cabinet’s worth of C+D trophies. She hit the ground running, taking – in Mr Williams’ words – “many opportunities to impact upon the health of the Bedminster community”. That doesn’t mean she wasn’t in “a bit of shock” in the early weeks. “The hardest thing was the accent,” she says, referring to the signature Bristolian burr. “I was like: ‘I don’t understand anyone and no one understands me.’” But she describes herself as “very adaptable”, and accepts “a leap is needed” for any pharmacy student entering their pre-reg year. “If you embrace the fact that it will be a transition, then it’s smoother sailing,” she advises. 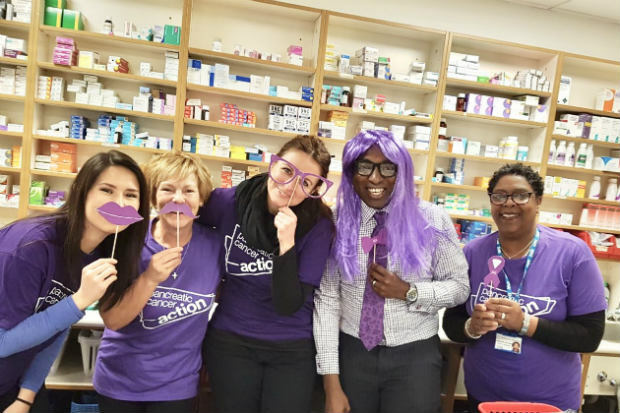 Before she knew it, she had taken the lead on a range of initiatives at the pharmacy, including an in-store pancreatic cancer awareness campaign (pictured above), for which “the team wore purple wigs for a day and got the conversation flowing with patients”, and set up the pharmacy's Facebook page to increase community engagement. She also led the pharmacy’s winter warm homes outreach programme, as “there are a lot of people in our area who can’t afford heating”, and helped the team get to grips with the electronic prescription service’s monitored dosage system functionality. “Once I understood why I needed to do something, it was easy to figure out the system,” she says. Her impressive weight management service saw a 15% year-on-year improvement in patient sign-ups and an average weight loss of 7%, and she had the highest patient retention rate of any smoking cessation advisor in the Bedminster team. Ms Maciborka agrees she brought something “a little bit different” to the dispensary dynamic. “Maybe it’s the way I was brought up, or just the way I am, but I always try and have a positive outlook. This charm offensive had benefits beyond the pharmacy walls. Mr Williams is quick to point out how popular Ms Maciborka is with local GP practice receptionists, and her regular contact with their prescribing leads helped the pharmacy “deal with our now ever-present stock issues”. 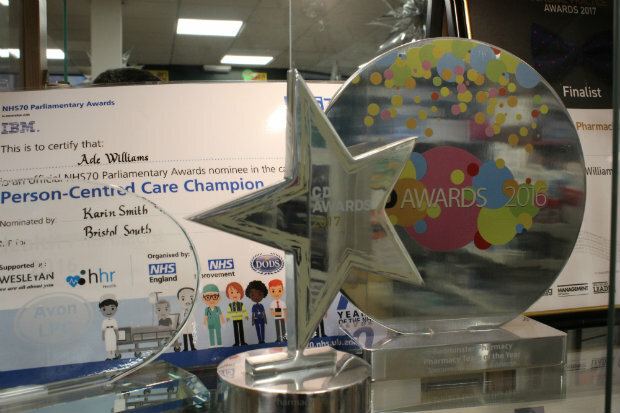 Her list of achievements culminated in winning the C+D Award for Pre-registration Pharmacist of the Year in July 2018. But as Ms Maciborka looks back on the placement, it's the patient interactions that remain a highlight. The close connection Ms Maciborka and the whole Bedminster team have with their community often meant patients went the extra mile to help them, and she fondly remembers one regular who bought them a kettle for their morale-boosting tea and cookie rounds. Considering her hard-earned reputation for throwing herself in at the deep end, it’s no surprise to learn Ms Maciborka is now managing a Lloydspharmacy inside a Sainsbury’s store. The branch had been without a permanent manager for a year and a half, so she had her work cut out bringing the processes back up to speed. Her “first order of business” was sorting out the dispensary, including removing expired medicines, alphabetising the stock and updating the computer. “It was crazy,” she says with a smile. 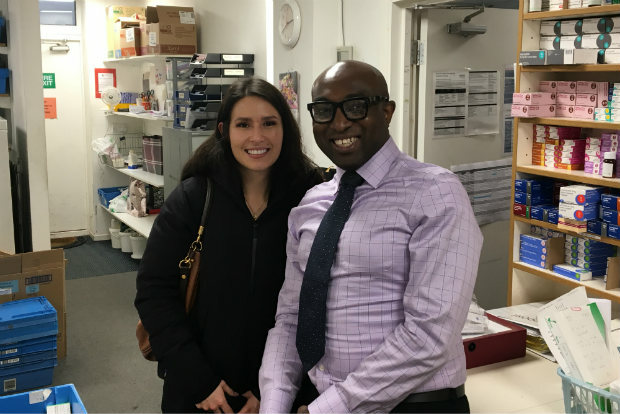 It may have seemed a huge task for a newly-qualified pharmacist, but when she talks to C+D – just seven weeks after she took on the role – the dispensary is now organised and she’s hired two new staff. She’s already moved on to her next challenge: ensuring all of the former Sainsbury’s branch’s practices are in line with current Lloydspharmacy standards. Looking further ahead, where does this C+D Award-winning pre-reg see her career heading? “I definitely want to own a small independent someday,” she says. Whether it’s revamping a multiple or owning an independent, it’s clear that Ms Maciborka’s underlying passion will always be guided by the principles she learned from her childhood pharmacist neighbour on the other side of the Atlantic. “As a community pharmacist, you can reach so many different types of people, all ages, all backgrounds,” she says proudly. “Don’t be afraid to admit you don’t know something, or ask again if you didn’t understand it the first time. “It sounds really cheesy, but have confidence in yourself. When you approach customers or patients, have confidence in your knowledge. If you don’t know something, then look it up. Could your pre-reg win the C+D Award in 2019? Entries for all 14 categories – including the new Locum of the Year Award – are now open, so find out more and enter below. Could your pre-reg win at the C+D Awards this year?